Another Quick Class from OWD: A Knotty Problem with Suzanne Attenborough will help you create decorative knots (bullion, french, colonial) for your canvases. 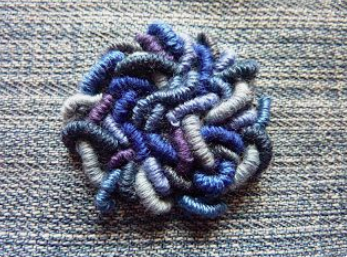 How to stitch the knots; what fibers to use; what effects you can achieve. Please call the shop at (650)321-3494 to register.